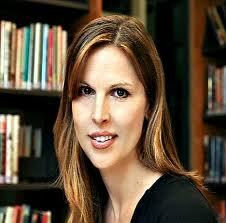 Jessica Minahan, M.Ed., BCBA will join NESCA as Director of Behavioral Services in September, 2013. Minahan is co-author, with Psychiatrist Nancy Rappaport, of The Behavior Code: A Practical Guide to Understanding and Teaching the Most Challenging Students, published by Harvard Education Press. She is currently completing a companion workbook. A speaker in demand nationally, Minahan also blogs on educational issues in The Huffington Post (you can follow her and receive updates by email here). Since 2000, she has worked with students who exhibit highly challenging behavior in both their homes and schools. She specializes in creating behavioral intervention plans for students who demonstrate explosive and unsafe behavior. She also works with students with emotional and behavioral disturbances, anxiety disorders, high-functioning autism and Asperger’s Syndrome. Her particular interest is to serve these students by combining behavioral interventions with a comprehensive knowledge of educational best practices for those with both complex mental health profiles and learning needs. Minahan holds a B.S. in Intensive Special Education from Boston University, and a dual master’s degree in Special Education and Elementary Education from Wheelock College. She has a certificate of graduate study (CGS) in teaching children with Autism from University of Albany, and received her BCBA training from Northeastern University. Her additional Massachusetts and other professional certifications include Teacher of Students with Special Needs (Pre-K through 9), Intensive Special Needs (All Levels), Professional Early Childhood (Pre-K through 3), Special Education Administration (All Levels, Initial), Crisis Prevention Intervention Trainer and Wilson Reading Certification, Level 1. Minahan is currently employed by the Newton, MA, public school system as a district-wide behavior analyst. She provides direct consultation and training for administrators, teachers, parents and support staff. She also consults to an in-house, 45-day stabilization program for Newton K–12 school students in crisis, who require an alternative educational placement. She will continue to consult independently to school districts nationally. Visit Jessica Minahan's website, read her Huffington Post blogs and follow her on Twitter @jessica_minahan.